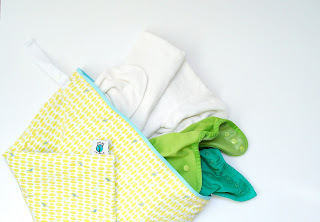 I really, truly believe cloth diapering can be done simply. 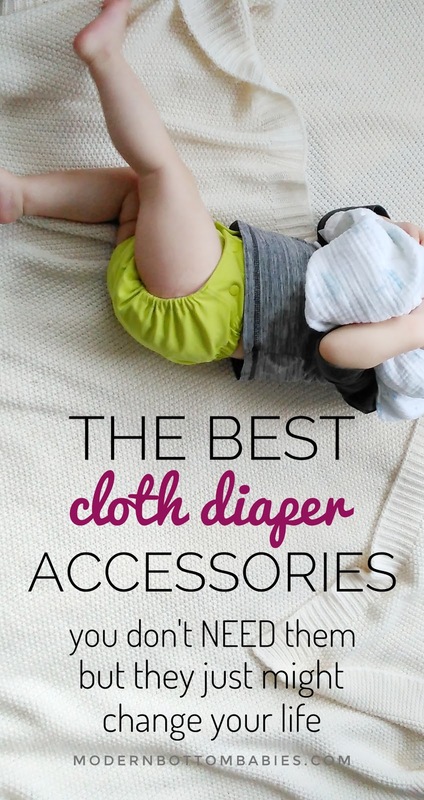 There's nothing fancy or extravagant needed to cloth diaper, just the basics. Disclosure: This post is not sponsored in any way, though some products mentioned were provided to me, free of charge, for previous sponsorships. All opinions are my own. 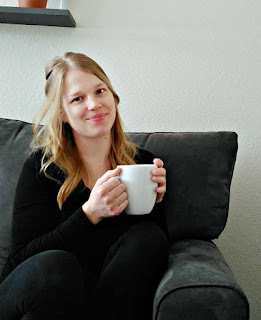 This post contains affiliate links, which means if you click through and make a purchase, I receive a commission for my referral, at no extra cost to you. As modern cloth has become more popular, more and more accessories have come to market. 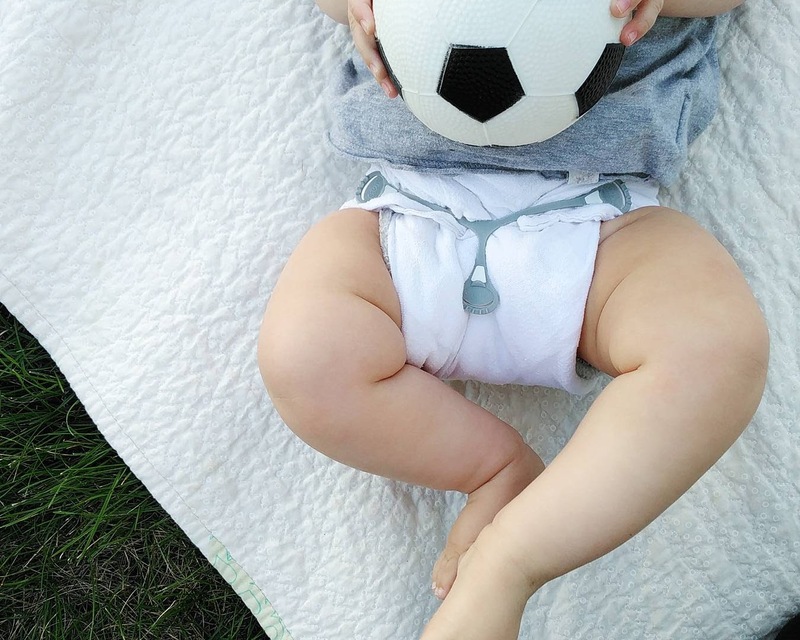 None are really necessary to successfully cloth diaper, but there are some that I love and I think make your journey just a little bit more easy. 1. Snappi Fasteners- If you're interested in using prefolds, fitteds, or flats (or even FST), you've probably seen a picture of a Snappi fastener. They conveniently secure a folded diaper closed under a cover. I loved them when I used wool covers at night, and when I occasionally have my boys run around in just flour sacks to air out without a cover. Though I should note that Snappi Baby does NOT ever recommend this because the sharp edges can pose a risk if your child undoes the Snappi. 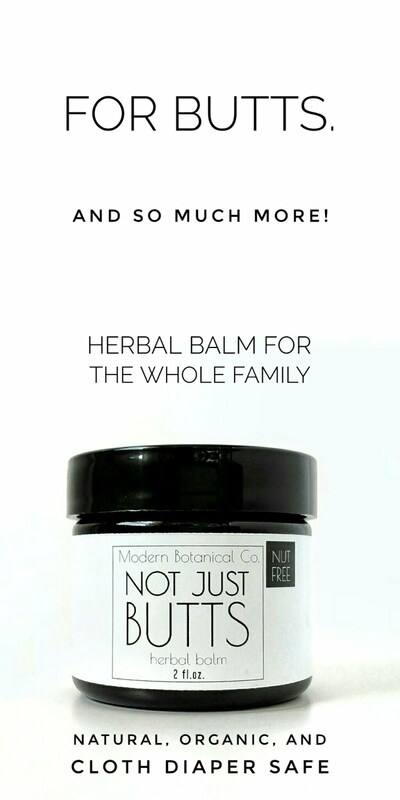 They can be purchased in TWO sizes (I recommend the larger, unless it is for a newborn) and retail for $10 for a pack of three, or $14 for a pack of five. 2. Diaper Sprayer- Definitely the most "luxurious" of all my diaper accessories, a diaper sprayer is something I always wrote off as being completely unnecessary and more of a hassle than a convenience. No, it's not necessary, but it is super freaking convenient and effective. I LOVE my diaper sprayer. It's way faster and easier to use than I had thought, and it really does save me a ton of time by spraying the messiest of poops in an effortless stream of water. It also has a ton of uses beyond diapers, which makes it even more worth it. It's one of my best purchases of the last year. 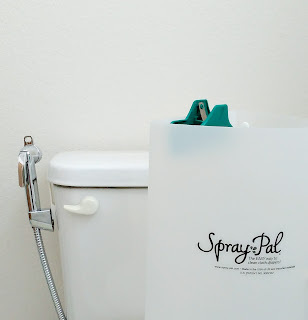 I personally have the Spray Pal sprayer, and I couldn't recommend it enough. This sprayer retails at a steep $50, but I think the power of it is ABSOLUTELY worth it. 3. Spray Shield- If you have a diaper sprayer, a spray shield is a must for me. My diaper sprayer is a wonderful, powerful tool, and being splattered with poop is not my cup of tea. A spray shield blocks the back-splash from getting all over your bathroom (and yourself). I, of course, have the Spray Pal shield, because I got them as a bundle deal (during Black Friday sales). It folds up small, is super easy to clean (by opening it up flat and scrubbing it with a brush), and can squeeze the water out of my diapers before throwing them in the pail. The Spray Pal Shield retails for $25. It can often be bought as a bundle with sprayer, for slightly cheaper. 4. Fleece Liners- Prior to the purchase of my diaper sprayer, fleece liners were, to me, the best-kept secret of the cloth diaper world. They make poop clean-up SO easy by making it easier to plop right off the diaper, or by just removing the liner and poop all-together. They also double as a stay-dry liner, or can be used as a barrier for non-safe diaper creams in synthetic diapers. Though I recommend making your own (see my full post here), they can be purchased from many diaper brands and retailers. I'm not even going to link any because I honestly think they are way too expensive, when you can make 30+ for $3. 5. Cloth Wipes- How many times has someone told you, "if you're using cloth diapers, you may as well be using cloth wipes!" Cloth wipes are SO convenient, will save you a ton of money, and time, by being so effective. Stop throwing money away and try some! They'll change the game for you. I am EXTREMELY picky about my cloth wipes though. I do not like flannel or thin wipes. My absolute favorite are Grovia, which I think you NEED to try if you want to do cloth wipes. They are the cream of the crop. Read my whole cloth wipe post here. Grovia wipes retail for $11 for a pack of ten, which I really think is a great price for the quality you receive! 6. Cloth Wipe Wet Bag- A small wet bag to carry around pre-dampened wipes on the go or at home is so nice to have. This is actually my most recent cloth diaper accessory and I am kind of obsessed. I have this AMAZING zippered pouch from Luludew Diapers. Fluff and Familia also has their own that is identical. The issue for me is that it comes with wipes I don't like (see #5). It is $15 and worth it for the sheer awesomeness. Other people just use mini or small wet bags. Though not as convenient as one that opens up like the above, they still work! 7. Pail Liner Wet Bag- This is probably my most necessity-est out of all my accessories. I just couldn't imagine life without a pail liner or two, because they make life SO MUCH easier. Stored inside a garbage pail, a pail liner will contain dirty diapers (while still keeping the garbage can clean), and then can be conveniently washed as needed. When it comes to wet bags, my top choice will almost always be Planet Wise. 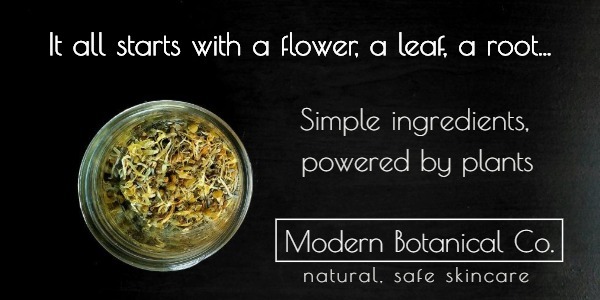 They are just the best at sealing in moisture (and stink, when on the go). 8. 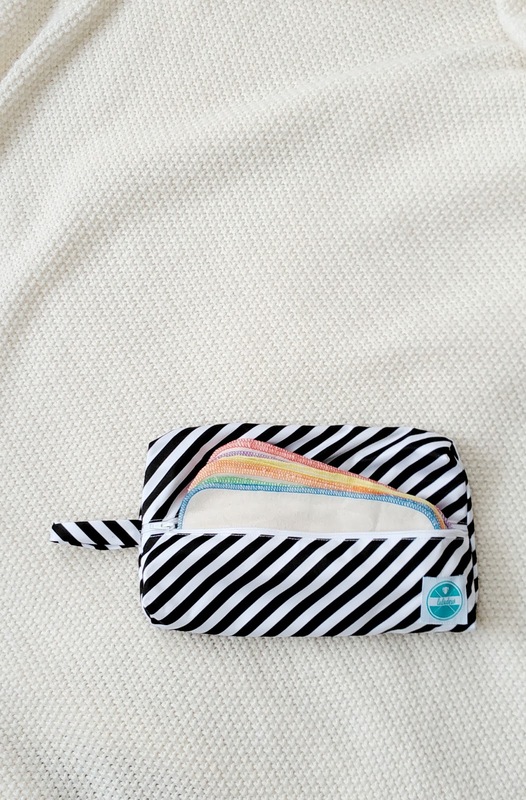 Travel Wet Bag- A travel wet bag for containing dirty diapers when using cloth away from home is not a must - you can use any 'ol plastic bag- but they won't seal the smell of dirties, and they sure won't look as cute! Again, I've tried a few brands of wet bags, but Planet Wise travel bags are my absolute go-to. They are 100% waterproof, and absolutely worth it. They retail at $18 for a medium. 9. Portable Drying Rack- I've seen some cloth diaper parents get pretty creative with hanging diapers to dry. A portable drying rack makes it super easy to move diapers outdoors when the weather is nice, and can be stashed away when not in use. And I just found my dream one on Amazon. I've seriously been trying to plan out how to make a portable umbrella drying rack all winter! 10. 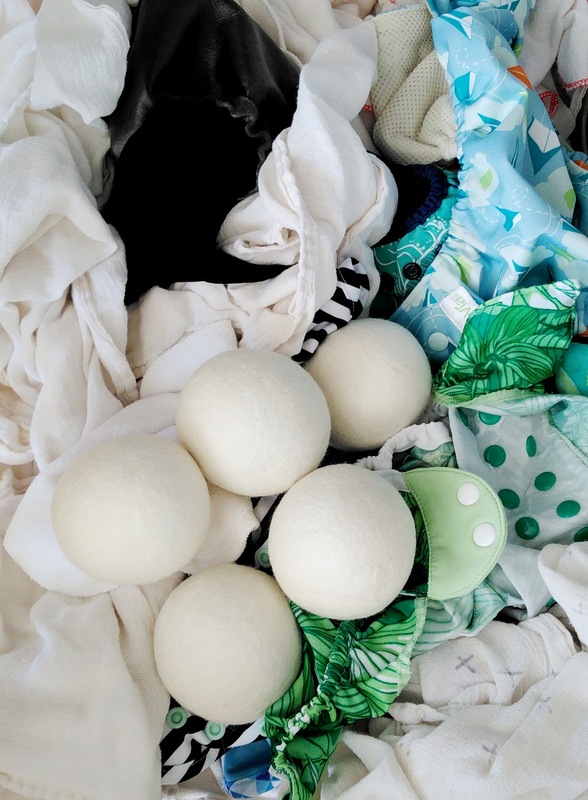 Dryer Balls- If you're not an air-dryer, wool dryer balls are awesome to help speed up dry time and soften laundry. I have a set I received from Buttons Diapers, but there's tons out there! 11. Diaper Dawg Finger Guards- This is one thing on the list that I don't own. Diaper Dawg finger guards are a little (adorable) silicone mitt that you wear to un-stuff pocket diapers. I would have LOVED these when I used pockets. I hate touching wet/dirty diapers with my bare hands. I try to keep cloth diapering simple, but there's just some accessories that can make it easier if you can swing for them. What is your favorite cloth diaper accessory? I don't use a diaper sprayer, but I do use a lot of the mentioned products. It's just easier, and still cheaper than disposables! It would be super efficient and cheap to just use flour sacks, safety pins + covers, along with cloth wipes + a water spray. Cloth diapering doesn't have to be extravagant or expensive, you're right. Remember, before there were pampers + huggies, there were babies. I keep thinking I need to use a sprayer. I used to have one but it leaked and then I got fustrated, but the last few months of scraping toddler transition poop got me thinking there must be a better way. thanks for joining the link up. I really enjoyed this post. I've never heard of the mitts or the shield. Working on my 4th in CD's coming up soon I'm interested in all the new things CD.